Every trip to Walt Disney World is filled with lots of time spent exploring the attractions, dining, entertainment, shopping, and more in the four Disney Parks. In addition to the Disney Parks, guests also might spend time enjoying the Disney Resorts, Disney Springs, and the two water parks, however there is so much more to see and do on property. Walt Disney World is home to some unique experiences that guests might not know about thanks to either their location or making a priority of enjoying more traditional experiences. In fact, guests can enjoy wonderful experiences like events and parties, recreation, backstage tours, spas, and more. Each one of these experiences is wonderful and guests are sure to love trying something new! Here are ten things to try on your next Walt Disney World trip that you might not have tried yet. 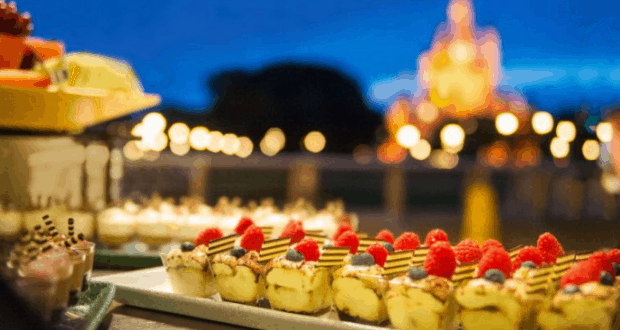 Several different locations throughout Walt Disney World offer guests the opportunity to enjoy delicious desserts combined with special viewing areas for nighttime shows. These dessert parties are very popular as they make a special moment of nighttime entertainment even more enjoyable with small bites and perfect views. Guests can choose from options such as the Fantasmic! Dessert & VIP Viewing Experience, Fireworks Dessert Party at Tomorrowland Terrace, Rivers of Light Dessert Party, Star Wars: A Galactic Spectacular Dessert Party at Disney’s Hollywood Studios and more. 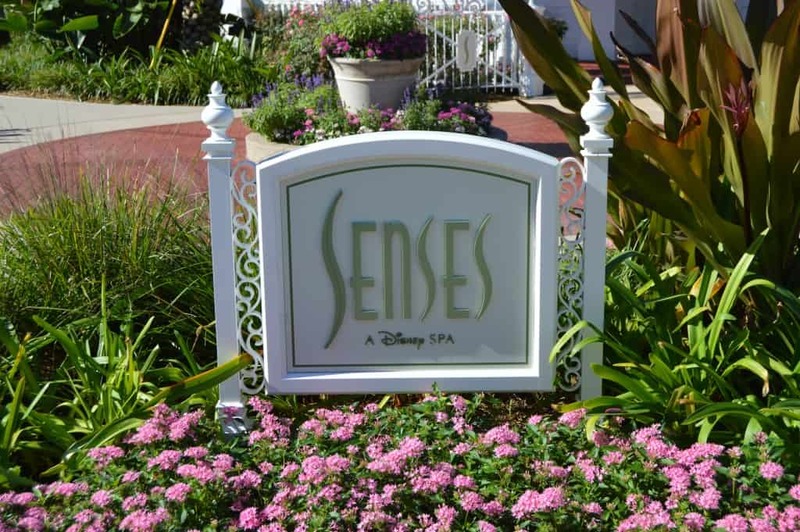 Those looking to indulge in a little relaxation while enjoying a Walt Disney World vacation can visit Senses – A Disney Spa at Disney’s Grand Floridian Resort. The location features a charming Victorian theme to match the Disney Resort and guests can choose from facials, massages, nail treatments, and more. In addition to the location at Disney’s Grand Floridian Resort, guests can also enjoy Senses – A Disney Spa at Disney’s Saratoga Springs Resort. Walt Disney World is home to some amazing recreation including two mini golf courses where guess can enjoy Disney level theming while also competing to see who can claim bragging rights. The Winter Summerland Miniature Golf Course features two different courses, one that celebrates all things summer and another that focuses on winter and snowmen. Guests can also visit the Fantasia Gardens and Fairways Miniature Golf Course which brings scenes from the film Fantasia to life with each hole. Walt Disney World offers many behind the scenes tours that allow guests to check out normally restricted areas and learn more about the parks. A popular tour to enjoy is Disney’s Keys to the Kingdom Tour which discusses how the Magic Kingdom came to be, operates, and continues to grow. Ina addition to behind the scenes access, guests can also enjoy an amazing glimpse of the underground Utilidors beneath the Magic Kingdom. Another very popular behind the scenes tour in Walt Disney World can be found in Disney’s Animal Kingdom. 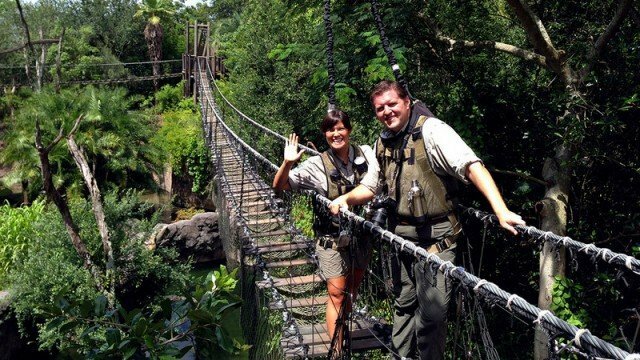 The Wild Africa Trek brings guests into the heart of the Harambe Wildlife Preserve where they can cross suspension bridges above hippos and crocodiles, watch a hippo being fed, enjoy an off road safari, and dine on gourmet items from a beautiful post overlooking the savannah. Guests will also have plenty of photos from the experience as they are accompanied by a Disney’s PhotoPass Cast Member. Many guests who enjoy a Walt Disney World vacation typically park hop, meaning they visit more than one Disney Park in one day. The ultimate experience is visiting all four Disney Parks in one day, creating magical memories in each location. This can be done by starting the day as early as possible in the Disney Park that opens first and exploring all day ending in whichever Disney Park is open the latest. During different times of the year, Epcot is home to several festivals that brings celebrations to life through art, entertainment, vegetation, food, and more. The beginning of the year features Epcot’s Festival of the Arts where artwork of all forms is celebrated. Springs is the time for the Epcot Flower and Garden Festival featuring beautiful topiaries and plants. The most popular event is the Epcot International Food & Wine Festival which occurs each fall and serves up cuisine from around the world in dozens of differently themed booths. During the holiday season, Epcot has Festival of Holidays to explore the different holiday festivities throughout the World Showcase. 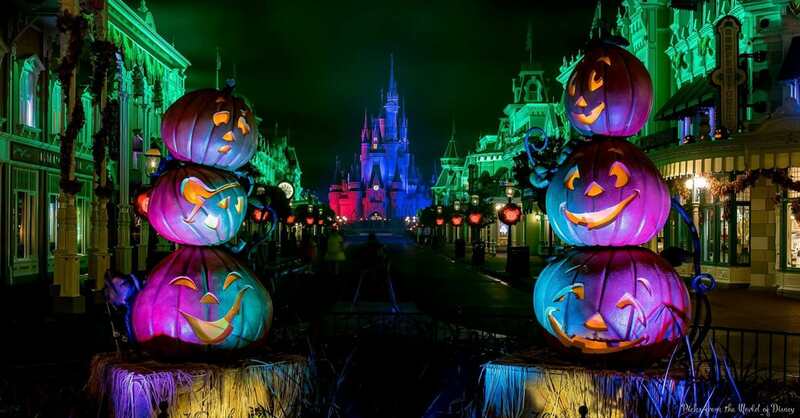 Fall is also the time for Halloween celebrations which mainly occur in the Magic Kingdom. The park is home to Mickey’s Not So Scary Halloween Party which happens on special nights. Guests who purchase tickets to the special event can enjoy trick or treating, special character meet and greets, a villains stage show, special parade, and impressive fireworks display. Many guests even love to dress up in their costumes to make the experience even more amazing! The holidays are also a beautiful time in Walt Disney World and the Magic Kingdom then hosts Mickey’s Very Merry Christmas Party. This special event brings the spirit of the season to life with a special parade and fireworks, snow on Main Street, unique character meet and greets, complimentary cookies and hot chocolate, and character dance parties. Mickey’s Very Merry Christmas Party is the perfect way to enjoy the holidays at Walt Disney World. Guests who enjoy time on the monorail loop around Seven Seas Lagoon can indulge in a unique dining experience that can’t be beat. The Highway in the Sky Dine Around brings guests on a five course journey featuring unique bites and cocktails at Disney’s Polynesian Village Resort, Disney’s Contemporary Resort, and Disney’s Grand Floridian Resort and Spa. The wonderful evening ends with dessert on a special viewing platform at Disney’s Contemporary Resort with stunning views of the Happily Ever After fireworks in the Magic Kingdom.